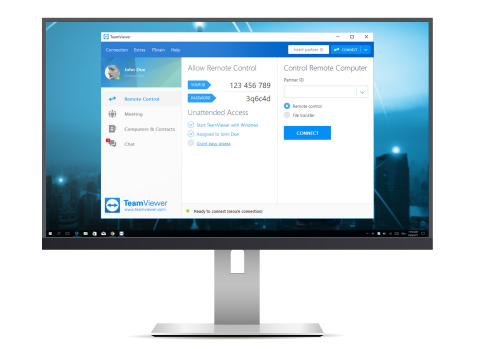 TAMPA, Fla.--(BUSINESS WIRE)--TeamViewer®, a leading global software provider for IoT, connectivity, monitoring, support and collaboration, today announced the official release of TeamViewer 13, the latest version of TeamViewer’s flagship product. TeamViewer 13 is faster, smoother and provides users with more efficient remote support. Accelerated remote support with Instant Connect, Recent Connections, Essential Asset Management, and Extended Device Dashboards: New Instant Connect box lets support professionals establish a remote connection quickly and easily, regardless of their location in the TeamViewer client. Recent Connections list allows users to quickly resume closed connections, to pick up where they left off. 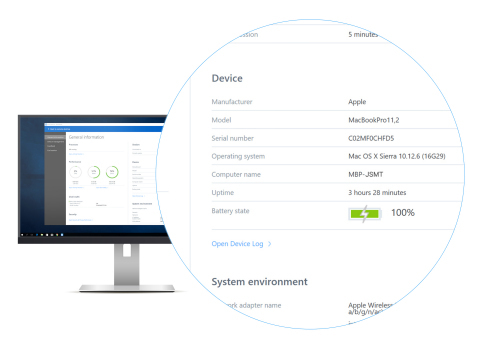 With the extended device dashboard, TeamViewer helps supporters get a head start when resolving issues. Hardware accelerated scaling leverages rendering power of CPU and GPU: This new feature, a performance boost and relief for the system, leverages the rendering power of the CPU and the GPU to allow for faster remote connections, reduced reaction time and a reduced load on the CPU. Addressing enterprise functionality needs with identity and access management and enforced session recording: TeamViewer’s new identity and access management, available as a preview, enables centralized control of TeamViewer accounts in organizational groups. It provides an additional authentication factor. After the feature activation in the web-based management console, administrators are able to activate or deactivate a TeamViewer account via the identity provider. TeamViewer 13 will also allow for enforced session recordings, which allows sessions to be recorded for clarifications about what has been done during a remote-control session. Support recipients will keep the right to opt out of the session recording. New native Linux client supplements native Linux host: With the release of version 13, TeamViewer announces the preview of a new native Linux client, which will be available shortly. The new native Linux client supplements TeamViewer’s native Linux Host. Enhanced Mobile Device Support boosts help desk capabilities: The extended and enhanced Mobile Device Support package provides a consistent user experience, allowing for easier, faster, and more efficient issue solving. TeamViewer’s Mobile Device Support comes with industry-first iOS 11 Screen Sharing capabilities. Detailed descriptions of new features and updates included in TeamViewer 13 can be found at https://www.teamviewer.com/latest-version/.